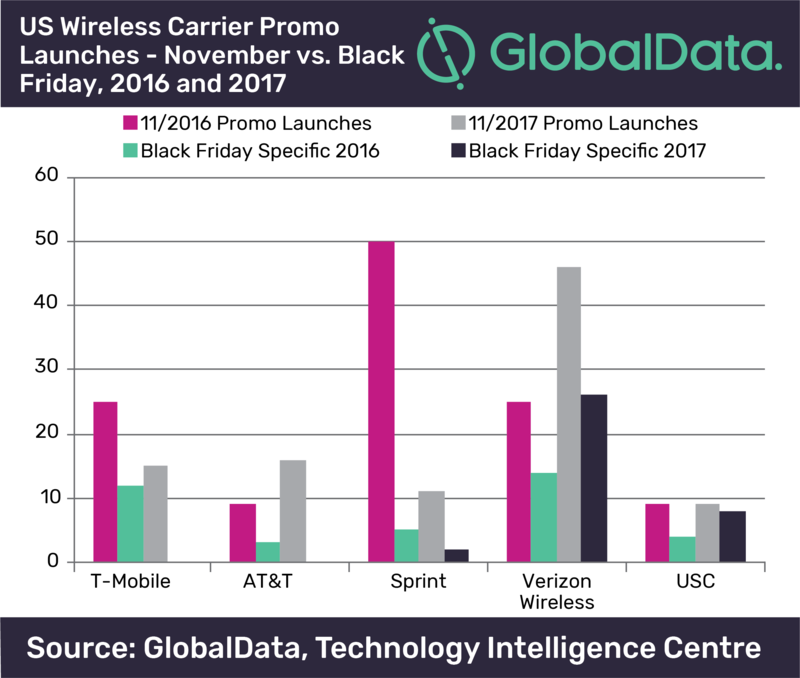 US wireless carriers have already begun advertising Black Friday deals but they are not exclusive to this day or even the shopping weekend, as many of these offers will continue into December, says GlobalData, a leading data and analytics company. These promotions come with a commitment that matches (or extends) the old two year contract. Wireless carriers will offer major savings through Christmas in an effort to wrap up customers. On the postpaid side, T-Mobile has been rocking the boat. Just ahead of Black Friday, T-Mobile extended its financing terms to three years, thus lowering monthly device payments. The carrier has also taken to advertising all-in pricing that rolls monthly service and phone payments into one bottom line. GlobalData expects other carriers will launch low-cost flash sales or even free phone offers on older models such as the iPhone 7, BOGO deals on flagship phones and will offer bundle deals including wearables and tablets. Manufacturers will offer freebies and trade-in deals that apply regardless of where customers buy the phone. Samsung’s $600 double trade credit may return for Black Friday. Prepaid carriers, postpaid carriers, and retailers will all advertise these manufacturer deals this year.